Thanks to everyone for coming to my show at Bass Concert Hall in Austin, Texas! Come check out my prints at the Bass Concert Hall,(fourth floor). 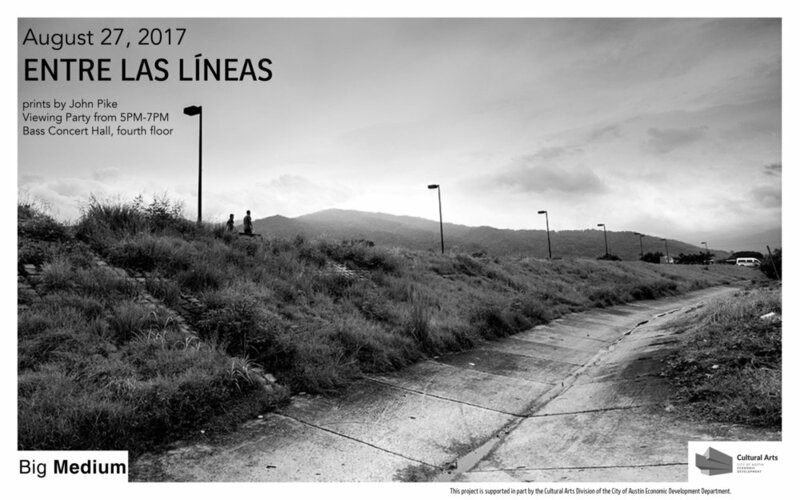 I'll be displaying a collection of black and white photos that I've taken over the last year at the Mexico-Guatemala border and some from the Mexico-US border. I've passed through Tapachula a few times and it appealed to my general obsession with border regions so I wanted to return to spend some more time there. I'm writing from Tijuana where I'm working on my current project. This project consists of photos and video by me along with recorded interviews by my friend and writer Adam Schwitters. I'm very excited about this project and I'm having a great time working on it in Tijuana! We will be presenting the finished product at Cheer Up Charlies in Austin on September 18. I'll get more details out to everyone soon. Check out these photos of the Tsukiji Fish Market in Tokyo on exposure.co. I will be displaying some of my black and white photography at Caffe Medici on West Lynn. There will be an opening reception on Friday September 18. There should be some free beer too! An exploration of the various techniques, equipment and philosipies I’m interested in for use in the process of documenting the world we live in through photography.